 There is 1 alert for this track. Long route above the bushline in Mt Richmond Forest Park near Nelson. Starveall Hut • By dicey. The Alpine Route is a challenging journey from the plains of Tasman Bay to the tectonic rift of the Wairau River. It leads over alpine tops, but is well-serviced with huts. Exit the southern end of the track at the Goulter River road end or loop back to the Wairoa Gorge road end inland from Wakefield. 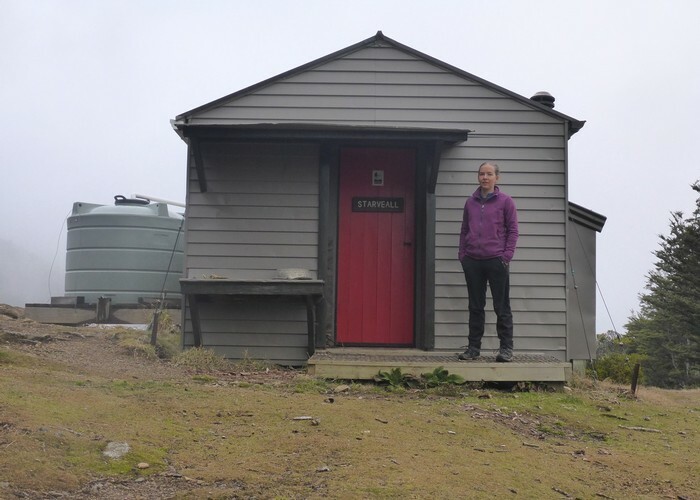 Starveall Hut (Richmond Ranges) • By Briar. Licence: C.
From Hacket Road picnic area, the route passes Hacket Hut and climb to Starveall Hut (6 hours). Poles head past Mount Starveall (side trip optional) toward Slaty Peak and hut (2.5 hours). The route continues to Old Man Peak, then passes a junction to Lake Chalice, continuing to Old Man Hut (5 hours). The route summits Little Rintoul and Mount Rintoul, the highest point at 1731 metres, then drops to Rintoul Hut (5 hours). The route climbs Purple Top and comes to Tarn Hut (5 hours). 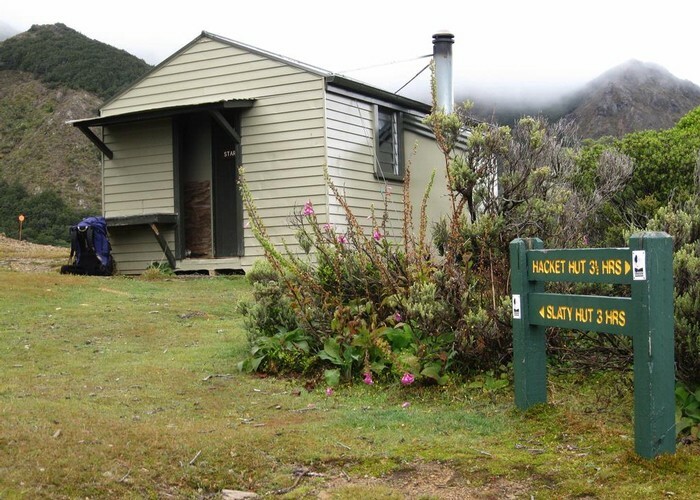 From Tarn Hut, it is 5-6 hours to either the Wairoa Road end or to the Goulter Road end. Added 18 February 2013 by MatthewMatthew. 3 revisions, most recently 26 February 2013 by madpommadpom. 240 views in the past year (20 per month).